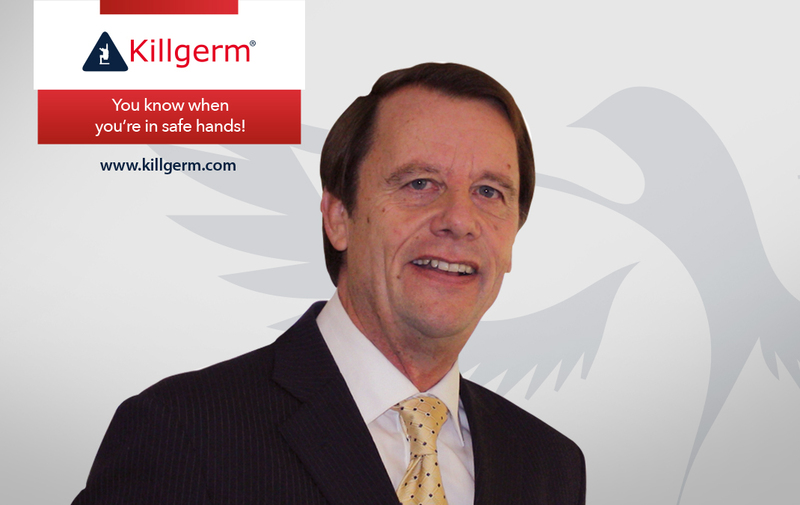 Pest Control News interviews industry leading bird specialist Nigel Batten, discussing his plans for retirement and hearing stories from his distinguished career, paying tribute to his immense contribution to the pest management industry over 45 years of sterling service. Oh, there have been so many. I get more of a buzz from training than any other part of my role. The gun courses have probably provided the most amusement, especially when we have a female trainee on the course and the testosterone levels amongst other trainees begin rising. Often having never picked up a rifle before, the ladies are keen to learn and quite often proceed to win the competition against the guys (some of whom will have admitted to shooting all their lives). This to a trainer is priceless and helps prove that we have delivered our training successfully. I have also enjoyed supporting our European colleagues on occasions in the Netherlands and Poland. Giving a presentation in small sentences, whilst being interpreted by the native, provides for much amusement in body language on both sides. Not forgetting my practical training courses, where netting around trees, stacks of pallets, and even a pest control van makes the experience for the delegate far more interesting, as opposed to simply netting a wooden frame on top of a table. Do you have any training course mishaps to confess to? I once forgot to pre-order a lunch. Probably the most feedback comments we get concern the refreshments. Get this wrong and you have not satisfied your delegate. Never mind the quality of the actual training! Luckily, I was running the course with a colleague, so was able to nip away to the local convenience store and avoid a diplomatic disaster. There have been other incidents, but generally they are solvable if you are adaptable and able to think on your feet. I like to think that I have been able to ‘wing it’ when needed. We want to know about some of the glamourous…and less so training venues that you have worked at. Can you tell us something about this? Bird control training and air gun courses are always held in the less glamorous venues of the world due to their content. For some reason the standard hotel venues used for other meetings and trainings are not happy to hold an event, once the suggestion of holes being drilled into a wall for practical bird proofing or that delegates might be walking around with air weapons on site is mentioned. So therefore, training in log cabins or shacks in the middle of nowhere is not uncommon, but it is the right venue for the bird control courses I have run, all be it a tad cosy in some cases. What is the most memorable bird problem that you have had to deal with? Working with gulls can be scary, especially when being swooped at when on a flat roof. It’s not uncommon for them to leave little surprises on your head (faeces and vomit) when you invade their territory. Health and safety are paramount in these cases. But the most memorable, and one that I bring up on every course, is the time a pebble was dropped on the rear windscreen of my two-week-old Toyota Avensis, leaving it shattered. I made the pest press with headlines including, “Gulls Gain Great Revenge on Nigel”. I still use the pebble as an exhibit, I guess it was retribution from the gull community for all those roof nets I have installed in the past. Who had the most influence on you in terms of your experience? A man called Mick Star who worked for the Big R. Before I got into the industry, I was working with his wife at an animal laboratory, where on a Friday at the local social club he would talk about his pest control experiences. This appealed to me instantly; here was a trade I could do, with basic training, where you were given a van, a round of clients, and then left on your own to manage your day. I loved the variety, the people, and the diverse establishments that I visited on a day-to-day basis. Do you have any tips for those interested in developing their bird proofing skills? First and foremost, you need a good head for heights. Ideally, you should be a practical person who is willing to use hand tools and (on occasions) not be afraid of working in unpleasant environments. A mentor or colleague with experience is often needed to help to guide you on the right path, but essentially the skills learnt will develop over time. No job is the same, which is what makes the trade so interesting. Even now, I still now come across the odd project that keeps me on my toes! However, nothing is impossible, there will always be a way. Where do you see the industry going over the next 5 – 10 years? Back in the 70’s health and safety was not on the agenda; I took many chances on ledges without a harness, for which I am not proud. Move forward to the present day and rightly so health and safety are paramount and for good reason. I am sure legislation will become tighter in the coming years, but that won’t affect the industry as much as the major changes including rodenticides and insecticides, which are already creating changes to practice. That makes pest controllers work just that little bit harder. Thankfully I don’t see major changes in the future for bird control methods other than the occasional new system development. Although sometimes changes create more opportunities, which has been witnessed with the increasing using of solar panels leading to additional ledges needing to be proofed – It is all about staying positive and using changes in legislation, society, or even the environment to your advantage. Without a doubt back in the 90’s, when I was a branch manager responsible for a team including sales, technicians, and admin staff. Keeping all the parties happy, whilst trying to successfully achieve all the targets and deadlines was a constant stress at the time. Since 2000 however, I have had the joy of just managing myself, which I have just about managed to grasp. Which species did you encounter the most often? Most definitely the Feral Pigeon. It is the number one bird pest, followed by the Herring, and Lesser Black Backed Gulls. But, there are new birds on the block aiming to take over the roost! Namely, the Ringed Neck Parakeet. Rumour has it that in twenty year’s time, bird controllers will be dealing with these as often as they are now with pigeons and gulls. Yes, but I’ll only share those over a beer in a country pub where the walls don’t have ears. What is your ‘pet hate’ as a bird specialist? Poor installations or similarly the wrong choice of system(s) to suit the primary issue. Now with social media, pictures of such issues are easily spread around the world and only lead to questions and comments that are to the detriment of our industry. Training is vital here. Also, people should not be afraid to ask questions and discuss issues with specialists, who have probably encountered a similar problem previously. I have been able to help several people in this way, when they have called up in a tight spot, simply through the use of Google Earth. Often this enables me to understand the issue better than a confused explanation of the issue with some questionable measurements! What did you do before you got into the industry? I was an animal technician for a research company, where I looked after the cages housing rats, mice, rabbits, and guinea pigs. Strange that I should have chosen a path between animal husbandry and killing. What job would you have done if you hadn’t been successful in the pest control industry? I fancied a life as a farmer, but did not think I could bring up a family on the low wages. So, make us all jealous – what are your plans for retirement? I live in Dorset close to the Jurassic coastline, so am looking forward to keeping active. I am also planning to get a motor home to spend more time travelling the UK and finding new spots for the perfect picture or even exploring those areas that I have only been able to briefly visit in my recent 20 years as a bird specialist. My wife and I are also planning a move to Devon next year to be closer to my two daughters and naturally take on the additional grandparent duties that entails. Not forgetting my son, who lives in Indonesia and has provided a base to visit idyllic islands across Southeast Asia that we could only have dreamt about visiting previously. Last year, we missed the volcano eruption by one week, when we were on a small island near Bali. This all adds to the adventurer in me. What will you miss the most about the industry? Having worked in the industry since 1973, pest control has been in my blood ever since. I will unquestionably miss this massively. However, my greatest pleasure has been the training and mentoring; especially watching people grow their businesses successfully. I feel proud to have been a part of their journey too. It goes without saying that my colleagues have also provided much support and enjoyment throughout my career, which I will probably miss the most. Error: Error validating access token: Session has expired on Sunday, 17-Feb-19 03:23:39 PST. The current time is Thursday, 18-Apr-19 21:23:25 PDT.